Automotive Battery: What is a battery? The vehicle electrical system comprises many different modules. However, the automotive battery is the heart of the vehicle electrical system. It supplies the initial current to the starting and ignition systems. When the generator/alternator is not charging (engine stopped), the battery supplies the current to the other electrical devices for all the time. Besides, it acts as a secondary source of electric current when the vehicle is not operating or the generator/alternator speed is not sufficient to meet the requirements. Over a period of time, the battery got updates and upgrades. Thus, it changed its appearance and capacity. However, the basic function of the battery mainly remained unchanged. The battery now needs to be of a substantially higher capacity. This is because of the number of components operating on electric power also increased. Actually, the capacity of a conventional battery depends upon the amount of chemical it contains. Thus, it also limits the amount of current it can supply. Lead-acid, Nickel-alkaline, and Zinc-air are the most popular battery types in vehicles. The main function of an automotive battery is to store and distribute the electric current to various systems in the vehicle. A modern vehicle needs an automotive battery to operate many electrical components/gadgets such as electrical gauges, digital gadgets, power windows, central locking mechanism, and air-conditioning, etc. Nowadays, from mobiles, portable refrigerators to electric tire inflators, almost every component operates on electric current. Furthermore, the automotive battery not only acts as a storage unit but also as a buffer to the electric components in vehicles. Thus, besides the fuse, it also helps to protect the components from a sudden surge of current in case of a fault in the generating system. Nowadays, many components operate electrically/electronically; shedding their pure mechanical function which the earlier generation cars used. Today, there are all-electric cars which run only on electric current. The electric cars need to have a better range to travel uninterruptedly. So, the engineers developed an advanced version of the battery with higher capacity. This battery is known as the Lithium-ion (Li-Ion) battery. It can store more current which changed the way cars work today. However, the Lithium-ion battery is the latest and most advanced type of them all. Manufacturers use the Lithium-Ion battery mainly in electric vehicles. It has a higher capacity to store electric energy than other battery types. Furthermore, the Lead-Acid battery consists of a single-piece molded container. It is made of either hard rubber or bituminous material. This material has high acid-proof and insulating properties and greater mechanical strength. 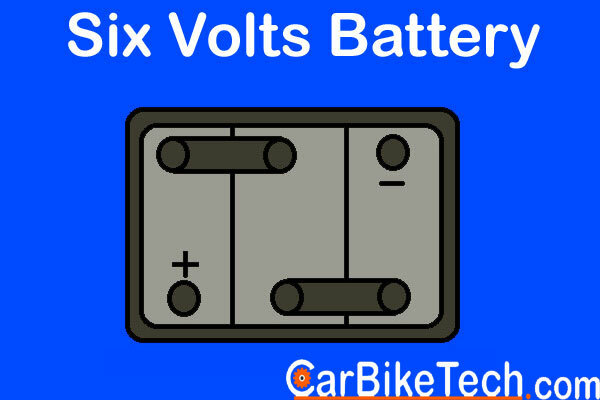 It is divided into a number of compartments or cells of the nominal voltage of 2 volts. 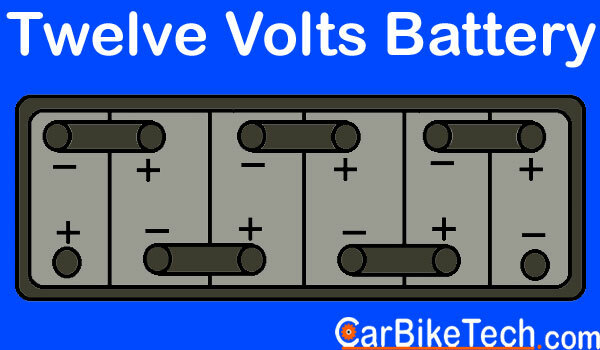 Normally, there are a total of 6 cells of 2 volts each in a 12 volts battery. The lead bars connect these cells in series. Besides, the battery has two sets of plates or electrodes. They are dipped in a solution of the diluted sulphuric acid or the electrolyte. Basically, one electrode consists of lead dioxide and the other of spongy lead. When the cells start to function, the acid reacts with the plates to convert chemical energy into electrical energy. The negative charge builds up on the lead plate and the positive charge builds up on the lead peroxide plate. The manufacturers use bridges for resting the battery plates at the bottom of each compartment. So, it helps to contain the sediments between the bridge ribs. It also prevents the plates from bridging and shorting by collecting the active material falling from the grid plates into the spaces. The molded cover seals the cell with a removable plug for topping up and testing that individual cell/s. the manufacturers provide vent holes to allow the escaping of gases released during the charging process. Bosch, Johnson Controls, Exide, and Lucas are some of the leading battery manufacturers in the world. 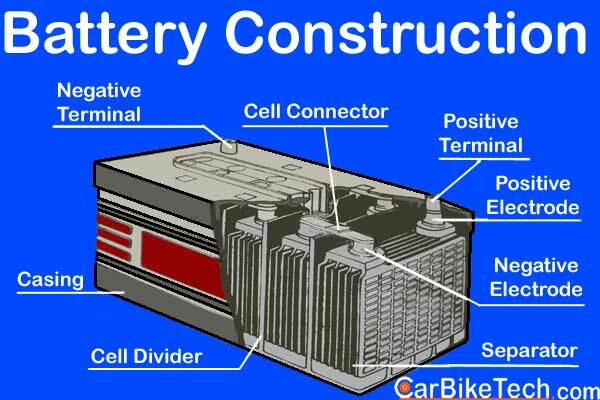 Home » Technical Anatomy » What is An Automotive Battery & How It Works?